Own up if you had a pen-friend! 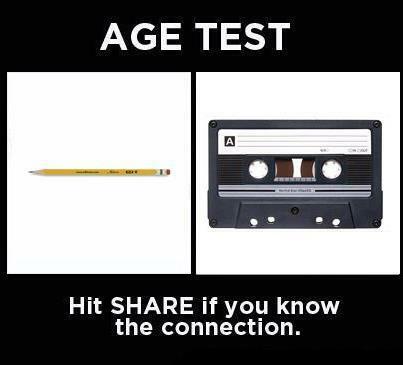 Is it a sign of my age that I understand the connection between a cassette tape and a pencil? Or is it a sign of the accelerated rate of change/progress since my youth? I prefer to think its the latter. But there are an increasing number of things that are now unintellligible to my even my own children: vinyl records, PAC-man and pen friends. Hands up those of you who had a pen friend when you were a child or young adult? If your hand is raised the chances are you are over 45. I had a pen friend. He was from Uruguay, goodness only knows how I was put in touch with him, I can’t remember. But I do remember the excitement of getting a letter addressed to me with a foreign stamp and the thrill of an albeit tenuous connection to someone on the other side of the globe. We exchanged trivial details about homes, siblings and pets and then photos. The photos were a mistake… the very next letter from him contained a proposal of marriage! The lad was clearly insane or very short-sighted as I was 11 years old, wore national health glasses and had pre-teen spots. No further letters were exchanged. (Was I the victim of a predatory pen-friend? These days his advances would probably be seen in a much more sinister light. At the time I just giggled and thought he was silly. At least he hadn’t said anything obscene or even remotely indecent – hard to imagine a more honourable faux-pax really). Anyway that was the end of my pen-friend relationship. However I did correspond with a friend I made at primary school in Cheltenham, even though I only lived there for less than a year. We wrote to one another all throughout teen years and university, right up until we were both married and had children (Helen, where are you now? I’m sad we have lost touch (Helen Shorey, nee White). Over the years there have been other friends for whom letters have been the main means of connection. Just this week I received a letter, a real live hand-written letter from Gwen, my bridesmaid. (Thank you Gwen, I will get round to answering, I promise). It all set me thinking about how much the younger, Facebook generation are missing out on. I have a shoe box of love letters in the loft, written to me over the year I lived abroad from the least likely ‘writer’ ever, my physicist husband. Naturally I’d never throw them away. “You never read them either” comments said spouse. SO? At least I have them. Does any one write love letters any more? Or are relationships conducted in a series of sound bite exclamations, generalised and sanitised for public consumption on Facebook? Or even worse in short, badly spelt text messages: ‘will u marry me? in a text? How sad, make an effort for goodness sake. I suppose the huge numbers of bloggers is evidence for the enduring appeal of writing and the desire many of us have to record our lives and thoughts. A bit weird though, isn’t it that now we write about stuff that really matters to anonymous people who don’t really matter, (no offence to my friends reading this but there are a lot of readers I don’t actually know). In days of Jane Austen or Charles Dickens, you had to retrieve letters to close friends to piece together their life and times. Now anyone can keep a blog. Have you seen the Tetley tea advert? A woman goes to put up an FB post only to imagine the inane impersonal responses she might receive and instead invites two friends over to share her news face to face over a cup of tea. It’s not just a clever ad but also a comment maybe that in a world with more ways than ever to connect with friend and stranger, there is no better investment of time than a face to face natter, or even, dare I say it, a personal handwritten letter. I met John, my now husband, at my pen-friend’s wedding, and I still have his love letters sent during the year before we were married when we lived at opposite ends of England.